Annual Meeting – February 21st! It’s that time of year again! We are inviting all past and potential vendors, as well as community members, to join us for our Annual Meeting coming up on Thursday, Feb. 21st. This is a great way to find out more about our market, what happened last season, and what we have planned for 2019. PLUS, we will have printed copies of this season’s vendor application on hand. Leave a comment Annual Meeting – February 21st! The Bremerton Community Farmers Market (BCFM) is holding our 2nd Annual Art Design Contest and need your help to ensure we have an amazing food inspired piece of artwork to feature on our one of a kind 2019 market shirt (printing sponsored by FINGERS DUKE!). Not only will the design be viewed on shirts used for fundraising this season, but it will also be featured as part of this year’s market poster, postcards, and other promotional materials throughout 2019. $50 worth of Bremerton Community Farmers Market tokens, good for spending at any BCFM market vendor booth. The warm fuzzy feeling of helping out a local organization with your talents – plus the joy of watching everyone look awesome in your unique design! Include full name in your submission email along with any contact info needed for us to get a hold of you. If your design is selected, we reserve the right to use your design in any manner, including but not limited to: reproducing the design, selling items bearing the design, changing or reworking the design by making color or size changes, making derivative works of the design, using the design on the Bremerton Community Farmers Market website and on promotional materials. 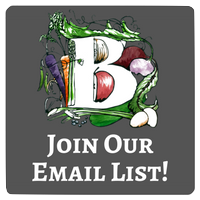 Leave a comment Calling all Local Food Minded Artists! 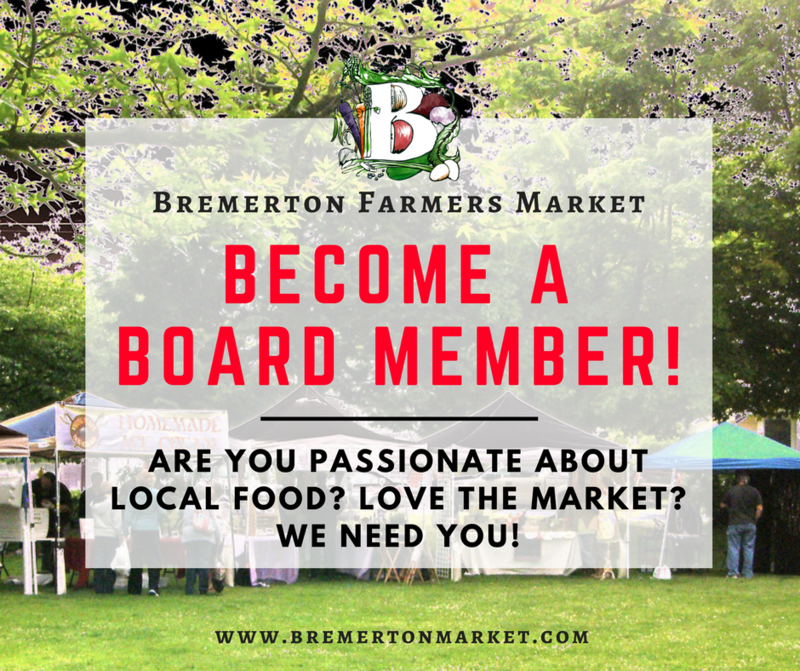 Leave a comment We Are Now Bremerton Community Farmers Market! The Bremerton Farmers Market is holding a special art design contest and needs your help to ensure we have an amazing food inspired piece of artwork to feature on our FIRST one of a kind shirts, sponsored and printed by Fingers Duke. Not only will this design be viewed on shirts used for fundraising this season, but it will also be featured as this year’s market poster, postcards, and other promotional materials throughout the season. – The warm fuzzy feeling of helping out a local organization with your talents – plus the joy of watching everyone look awesome in your unique design! – The following text (somewhere in your design): Bremerton Farmers Market, Think Local First! If your design is selected, we reserve the right to use your design in any manner, including but not limited to: reproducing the design, selling items bearing the design, changing or reworking the design by making color or size changes, making derivative works of the design, using the design on the Bremerton Farmers Market website and on promotional materials. Leave a comment Calling All Local Artists! With the days growing shorter and the Fall quickly overtaking us we have decided to move up our market hours for the remainder of the season. 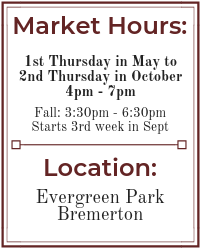 Please join us Thursdays, September 21st through October 12th at market during our new Fall hours from 3:30pm to 6:30pm. Join Us For Healthy Communities Day – Sept. 14th! Mark your calendars for our Annual Healthy Communities Day coming up on Thursday, September 14th from 4pm to 7pm at Evergreen Park. We will be celebrating all things that make our community healthy and vibrant. We will have special kids food education activities, Chef at the Market demonstrations, Yoga at the market starting at 5:30pm and much, much more. Make sure to like our Facebook Page for event updates and info. Special thanks to this years sponsors, Holly Ridge Center, for supporting the market and this community event! Leave a comment Join Us For Healthy Communities Day – Sept. 14th! Are you someone who is committed to local food and the community? Do you have a few extra hours a month to dedicate towards BFM’s goals and mission? Are you interested in or have past experience with leadership, business, marketing, bookkeeping or other financial skills? If so we want you! We hope you will consider joining us in growing our market and making 2017 our best season yet! Leave a comment Board Nominations Open Now!